The Palik Series is published by the North American Jules Verne Society and BearManor Media, and offers stories and plays by Verne that have never before appeared in English. These volumes will be available nowhere else, and utilize the talents of the foremost Verne translators and scholars in books lavishly illustrated with original 19th century engravings. The Palik Series is also available in e-book form, with some volumes on audible.com. Brian Taves is series editor, and eight of the projected twelve volumes have been published already. Click on the link to see what’s out now and what will be available in the future. The first eight volumes out now are available together for the special discount of $125 from the publisher. Read the Press Release and the interviews with series editor, Brian Taves. All the volumes are profusely illustrated, as discussed here. Additional assistance and support from these individuals and organizations. The series has been made possible by a bequest by our late member, Edward D. Palik. — J. Randolph Cox, “The Reference Shelf: Jules Verne, The Palik Series,” Dime Novel Round-Up, Vol. 81, June 2012, 99-100. — Donald M. Hassler, “The Rescue of Jules Verne the Writer,” Extrapolation 53.3 (Fall 2012): 379-382. — Marie-Hélène Huet, review in French Forum, Vol. 28, nos 1-2, 2013, 288-290. — Daniel Compère, “Un Jules Verne inattendu : la collection Palik (Palik Series),” Verniana, Vol. 7, (2014-2015): 63-74. — Donald M. Hassler, extracted from “The Tangled Bank that Writers Inhabit: New Windows on Jules Verne,” The New York Review of Science Fiction, December 2016, Number 340, Vol. 29, No. 4, 25-29. 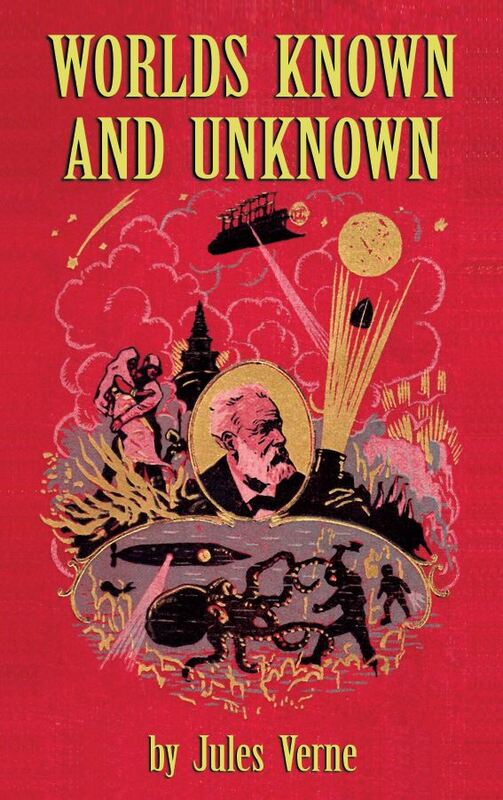 ”These two titles in the ‘Palik Series of Jules Verne’ represent the beginning and the end of his writing career. Golden Danube is one of a number of novels that were published posthumously but has not had a proper English translation until now. A Priest in 1835 was written in 1847 or 1848 when its author was 19 but was not published until 1992. This is the first English translation. We have chosen to review these books in the order in which they have appeared in the Palik Series and not in their original chronological order. Golden Danube is truly an ‘extraordinary voyage’ as the hero travels on the Danube, a river that Verne takes some pains to explain to the reader is not blue as the composer Strauss called it, but yellow, and therefore the title he gave to this book is correct. Ilia Krusch is a fisherman who wins two contests: one for the most fish caught and one for the largest fish caught. He accepts his prizes and announces his intent to sail the entire length of the river, beginning at its source. This is part an adventure story and part a travelogue with a mystery thrown in for good measure. There are smugglers in the area led by a man named Latzko. Ilia Krusch is joined at one point in his journey by the mysterious Mr. Jaeger, and the reader wonders whom he really is, Police Chief Karl Dragoch traveling incognito or Latzko himself. The 36-page introduction discusses the history of the novel that was reworked by Verne’s son, Michel Verne, into a considerably different story and published in 1908 under the title Le Pilote de Danube. Nearly sixty years later, it was this version that I.0. Evans translated into English as The Danube Pilot. O’Driscoll explains the differences between the two versions including the lack of Verne’s light, humorous tone in the son’s work. This little-known, posthumous novel shows little sign of it being the work of a man past his prime, though Ilia Krusch’s journey down the Danube is also Verne’s journey through the last years of his life. A Priest in 1835 shows the influence of Edgar Allan Poe, which lasted through much of Verne’s life. The story opens in the gothic church of St. Nicholas, and the setting is described in great detail. It soon becomes obvious this is a detective story in the manner of Poe’s stories about C. Auguste Dupin published only a few years previously. As the story opens, the great church, the bell tower, and the bell itself all become parts of the story. The bell tolls and the building begins to sway causing the bell to fall through the floor of the tower. While some people die, others are rescued. All the main characters, including Pierre Herve, the priest of the title, are introduced in the first chapter and the mysterious events that will require explanation are also introduced. The reader is encouraged to keep track of the information that will make everything clear in the end. Written at the beginning of Verne’s career, A Priest in 1835 is surprisingly mature in its style and structure. — J. Randolph Cox, “The Reference Shelf,” Dime Novel Round-Up, Vol. 85, Fall 2016, 124-125. NAJVS also co-published with Prometheus Books the first ever (in book form) English translation of “Voyage é travers l-’impossible” (Journey through the Impossible). Here are three more reviews on this work. 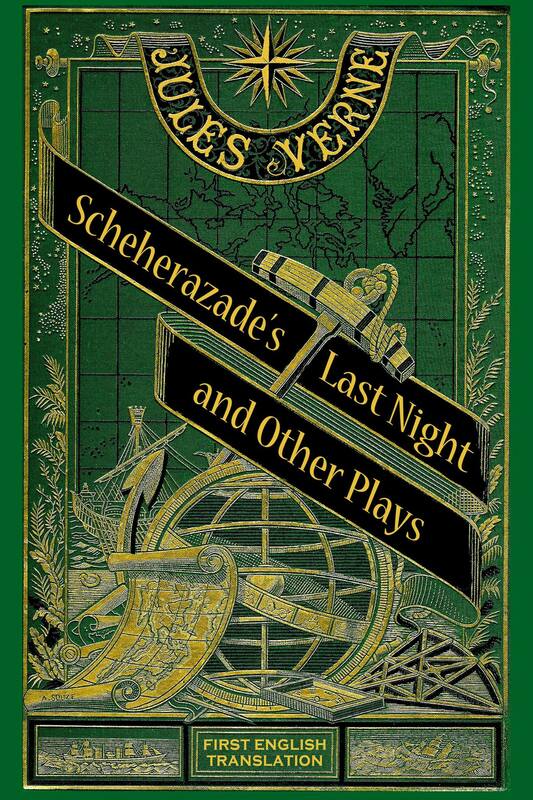 Music from the quadrille that was inspired by the success of the play as referenced in the book on page 71 may be found here. Click here to see the entry for the book at Amazon.com. This is the masthead from the society’s newsletter, which is published approx 4 times per year. It is a peer-reviewed publication that contains articles and essays related to Verne from scholars around the world, conference proceedings, archive news, including rediscovered stories, vintage pastiches, and book and media reviews. An article that appeared in this newsletter may be found here. An index to the contents of the newsletter may be found here.